Texas Senator Ted Cruz will reportedly become the first Republican candidate to officially announce his bid for the Presidency on Monday. According to reports, Cruz will formally announce his bid during a speech at Liberty University in Lynchburg, Virginia on Monday morning. Senator Cruz's announcement is expected to open the floodgates for similar announcements from other GOP hopefuls, including Jeb Bush, Scott Walker and Rand Paul. 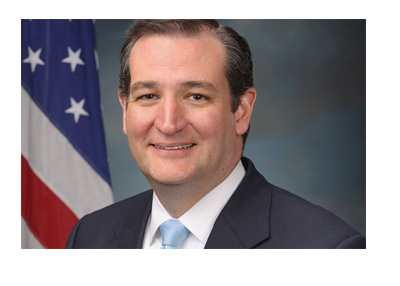 It seems unlikely that any of these candidates for President will let Cruz enjoy the spotlight for too long before they reveal their own plans to run for President of the United States. Senator Cruz, who is 44 years old, openly identifies with the Tea Party movement and is one of the favorites of the far right. Cruz, who has been known to antagonize both Democrats and Republicans, is a gifted speaker who will likely do very well in debates. The likes of Cruz, Bush, Walker and Paul will be engaging in what will be a very contentious fight for the GOP nomination. All of these potential candidates will be battling for the chance to square off against Hillary Clinton, who is almost certain the win the Democratic nomination, barring some sort of epic collapse. It will be interesting to see who GOP supporters eventually decide stands the best chance against Clinton. Do you pick a candidate who is considered to be "anti-establishment" (such as Cruz), or do you go with somebody who lands a bit more towards what Cruz calls the "mushy middle"?